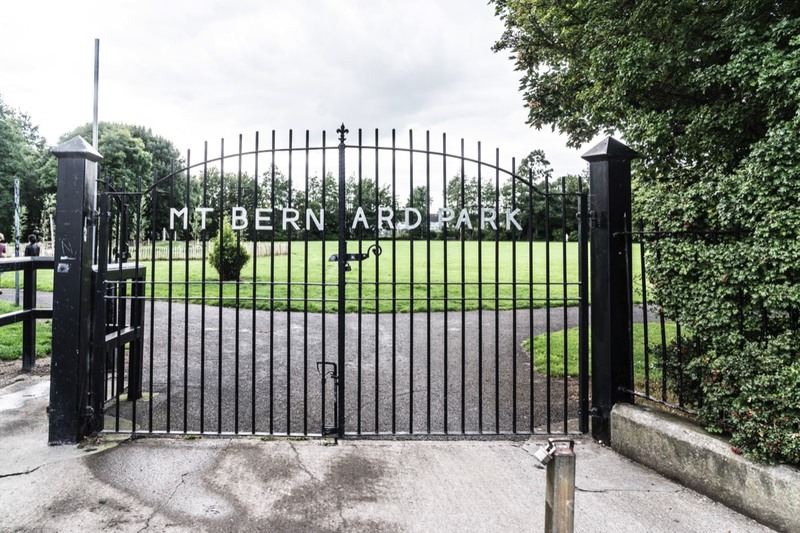 The name on the gate read as follows: “MT BERN ARD PARK”. When I came across this park yesterday [17-08-2017] I was convinced that I had never seen it before but today I discovered that I photographed it in August 2011. That’s a bit worrying from a memory point of view. Dublin is full of well maintained parks and most of them could be described as "attractive" but this park is not one of them. There are also indications that it suffers from anti-social activities. This park is likely to become much better known and frequented as the the main entrance is located at Liam Whelan Bridge the location of the new Luas Tram Stop serving the Cabra area of Dublin. Mount Bernard Park is the largest single area of public green open space in the Phibs-borough/Mountjoy LAP area and is an important local amenity space for passive recreation. It also comprises two tennis courts and a multi-functional hard playing surface which provide active amenity spaces for the local community. 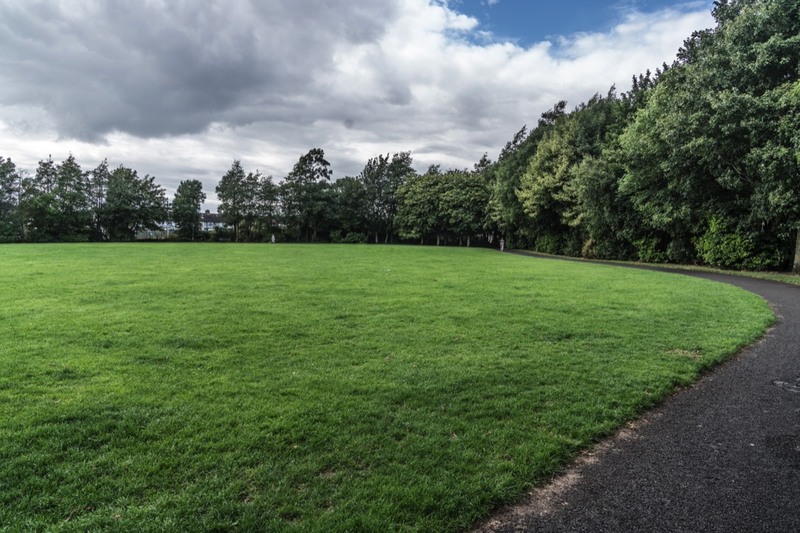 The park is currently accessible from Shandon Park and from Connaught Street and is bounded by the disused Broadstone rail spur to the west and by the disused Iarnród Éireann lands to the north which serve to limit public accessibility and connectivity. The park is surrounded on the remaining sides by the rear gardens and garages of ad- joining dwellings and is not overlooked resulting in poor passive supervision. In addition, the lands to the north are a disused waste ground and there is no connectivity between the park and the Royal Canal to the north and St.Attracta Road to the west. 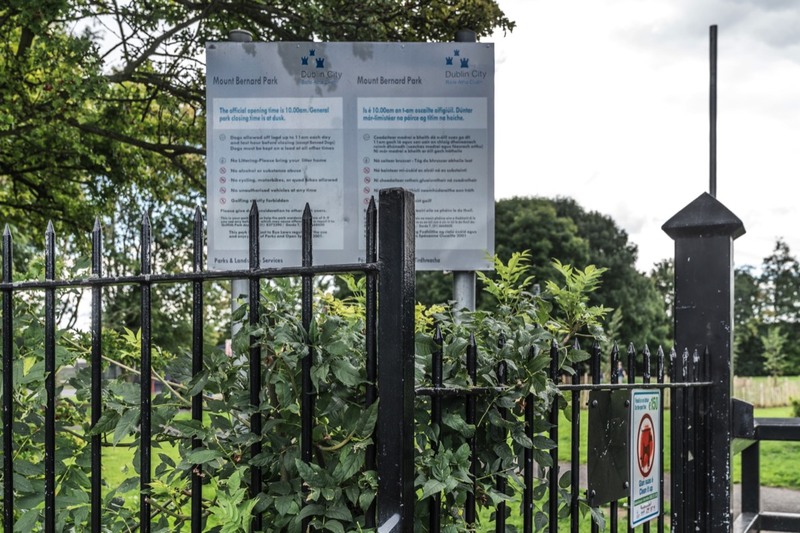 As a result, as highlighted in the community consultation process, the park is frequently the subject of anti-social behaviour which limits its usability and functionality. The LAP strategy is to significantly enhance the quality of the public realm in Mount Bernard Park and to extend the area of the park into the disused Iarnród Éireann lands to the north.This will facilitate connectivity to the Royal Canal Way and link it with this extensive linear amenity space. In order to achieve this, it is proposed redevelop the disused Iarnród Éireann lands for a moderate amount of primarily residential development.This could serve as an appropriate location for a new light rail station for Luas Line D which is proposed to run along the Broadstone rail spur, to serve Mount Bernard and the residents of Shandon and Cabra. It is recognised that the disused Iarnród Éireann lands form part of the Royal Canal Proposed National Heritage Area (Site Code: 002103). However, Dublin City Council consider that the development of this site could deliver important planning gains for the social and amenity objectives of the LAP, and would be a key element of the network for sustainable movement in the area. Dublin City Council will consult with the Department of the Environment, Heritage and Local Government together with National Parks and Wildlife Service and Waterways Ireland to secure this objective. In addition, in order to enhance passive supervision of the park, Dublin City Council will also support the development of mews dwellings in the rear gardens of properties adjoining Mount Bernard Park.